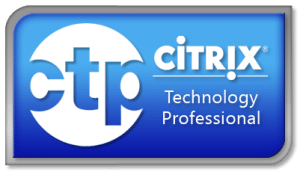 Citrix have released to web a new version of Citrix Provisioning Services 6.1. 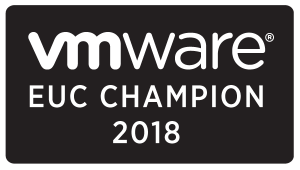 The new version supports Personal vDisk and Microsoft System Center Configuration Manager 2012 and Microsoft System Center Virtual Machine Manager 2012 and finally official support for VmWare vSphere 5. Citrix Provisioning Services™ uses streaming technology to dynamically deliver server workloads and desktop images on demand to any physical or virtual machine, reducing IT capital and operational costs while increasing business agility. Personal vDisk Support: In XenDesktop environments this capability allows user data and desktop configuration changes to be saved between sessions while still giving IT the storage optimization benefits of Provisioning Services Standard Image Mode provisioning. Microsoft System Center 2012 Support: The XenDesktop Setup Wizard, Streamed VM Setup Wizard, and the Image Update feature have been updated to support Microsoft System Center 2012 Configuration Manager and Virtual Machine Manager. Support for Personal vDisks — Citrix XenDesktop with personal vDisk technology is a high-performance enterprise desktop virtualization solution that makes VDI accessible to workers who require personalized desktops using pooled-static virtual machines. Target devices that use personal vDisks are created using the Citrix XenDesktop Setup Wizard. Within a Provisioning Services farm, the wizard creates and adds target devices with personal vDisks to an existing site’s collection and assigns an existing shared-mode vDisk to that device. The wizard also creates XenDesktop virtual machines to associate with each device. A new type of catalog exists in Citrix Desktop Studio that allows you to preserve the assignment of users to desktops; the same users are assigned the same desktop for later sessions. In addition, a dedicated storage disk is created (before logon) for each user so they can store all personalization’s to that desktop. Personalizations include any changes to the vDisk image or desktop that are not made as a result of an image update, such as application settings, adds, deletes, modifications, documents, etc. Support for Microsoft System Center 2012 Configuration Manager (SCCM) – The vDisk Update Management feature now supports SCCM 2012 environments. Support for Microsoft System Center 2012 Virtual Machine Manager (SCVMM) – The XenDesktop Setup Wizard and Streamed VM Setup Wizard now support SCVMM 2012 for Hyper-V environments. Provisioning Services support for KMS licensing no longer requires local administrator privileges. Provisioning Services SoapServer KMS licensing now requires the same VHD mount privileges as Microsoft Windows (SE_MANAGE_VOLUME_PRIVILEGE, which is included in Administrators group by default). Note: If upgrading from a past release, be sure to reset the privileges accordingly. 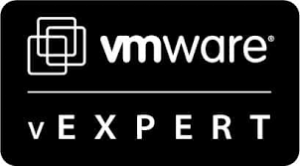 Hypervisor support for ESX 5.0.